You can use the FLOOR function to round down numeric values. Let's take a look at the NUMBERS data set below. 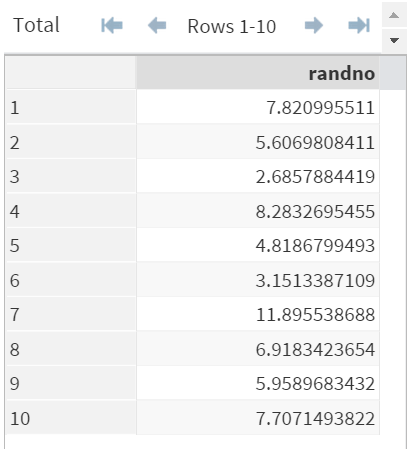 The NUMBERS data set above, again, contains a list of random numbers. Now, let's take a look at an example of the FLOOR function. The FLOOR function rounds down the values to the nearest integer. Note: unlike the ROUND function, the FLOOR function takes on only 1 parameter. There is no option to round down the values by any rounding factor. Take a look at the NUMBERS data set. 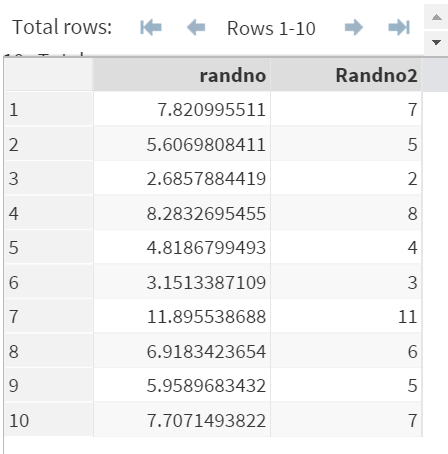 Write a SAS program to round down the RANDNO variable to 1 decimal place.